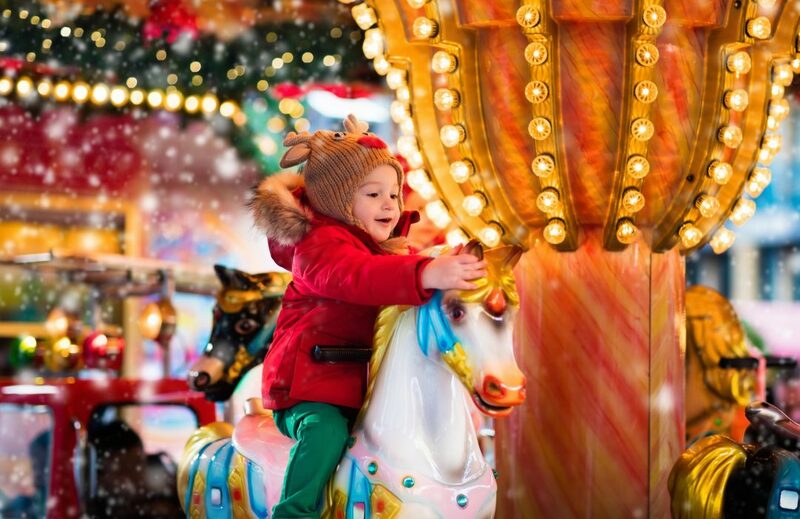 Winter Funland, the UK’s largest ever undercover indoor winter wonderland, is coming to EventCity this Christmas, and they want to invite 1000 mini VIPs to be the first to see it. This year’s festive extravaganza is going to be bigger, better and more Christmassy than ever before. The organisers want to invite 1000 local children to their launch party as their guests, and they are asking young people’s charities to apply for places. Boasting a new 1000 seater auditorium, visitors can sit back and be entertained at Winter Funland with live shows from a line-up including CBBC star Andy Day with his fantastic Odd Socks band, who’ll be appearing with live shows four times a day, plus performances from Frozen, and a spectacular festival circus. Christmas wouldn’t be Christmas without Santa, which is why the big man himself is taking residency at Winter Funland this year appearing in the must-see Winter Funland Grotto, complete with live reindeer – and yes the grotto experience is another must see that’s included in the admission ticket.